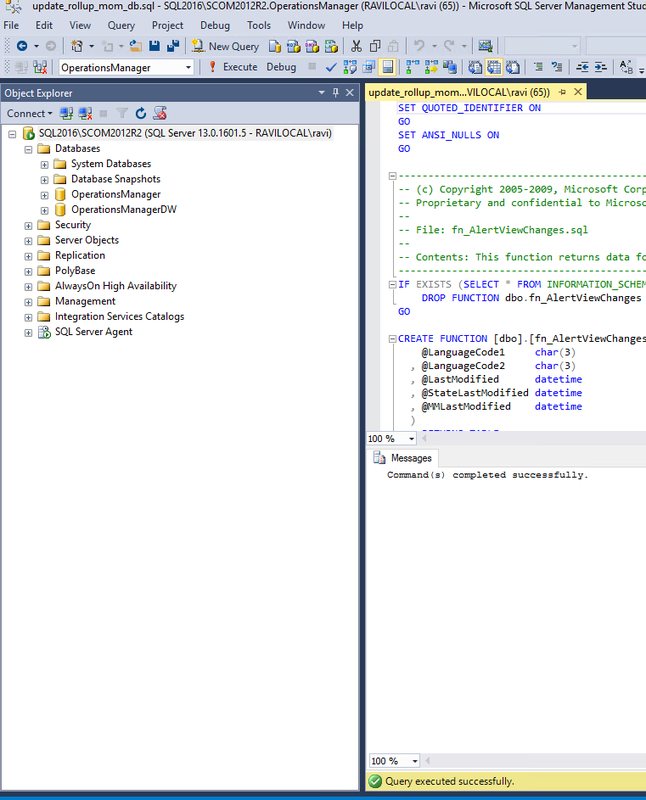 My personal notes for installing SCOM 2012 R2 Update Rollup 12, Step-by-Step. UR12 (Update Rollup) has a lot improvements, please see below the many updates being provided in this UR. One thing to mention, UR12 also has resolved an issue with respect to Reporting — please see notes below. Also, it is rather nice to see updates (still) being pushed out for SCOM 2012R2 along with other System Center 2012 products. Once the updates are installed, server(s) are rebooted, etc., you will now need to apply the SQL scripts. 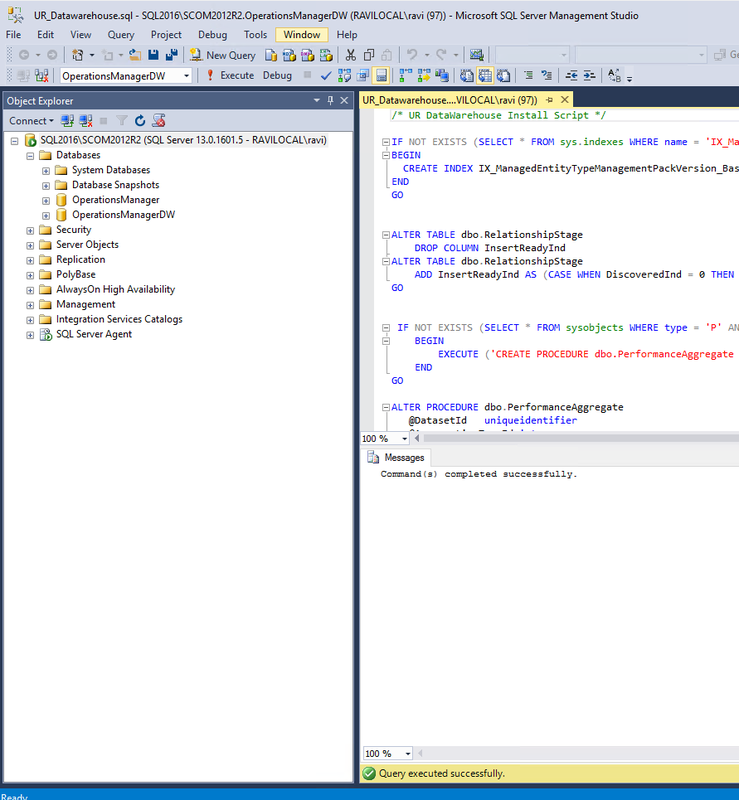 First update the Data Warehouse, then followed by the OpsMgr DB. 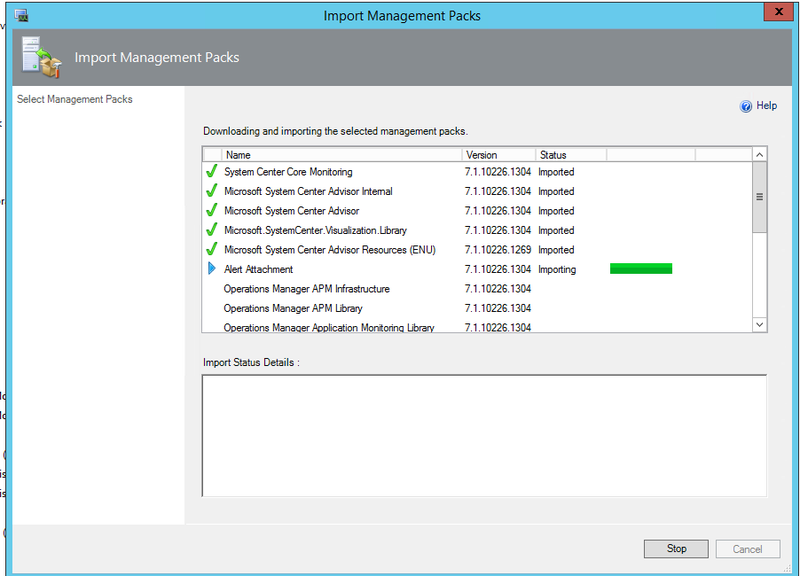 Microsoft.SystemCenter.AlertAttachment.mpb, which should be installed from the System Center Operations Manager 2012 R2 media. And that is that! 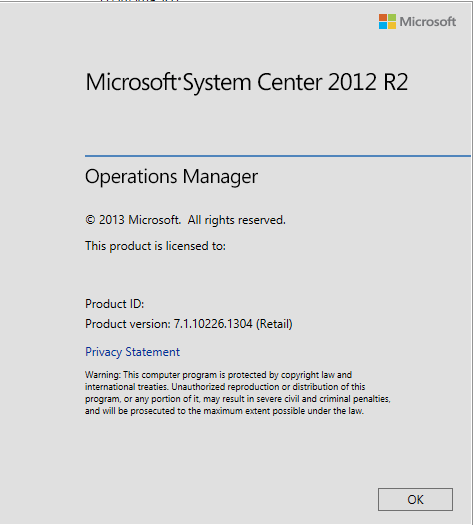 You are now on the latest and greatest System Center release for SCOM 2012 R2 Update Rollup 12! Earlier in 2016, Microsoft increased the number of Canadian Data Centers to two: Canada East and Canada Central. With most of my customers being within Canada, naturally they want their Azure Backup data stored within the Canada Data Centers/Regions — makes sense for many (legal) reasons. Only problem is, Azure backup is still very limited to specific locations (see chart below). Fellow Canadian and MVP — Stéphane Lapointe, was able to get this working with some PowerShell magic — Please visit his blog to get the more details of his workaround. The PowerShell code below is workaround to get Azure Backup services bound to the Canadian Regions/Data Centers, specifically the Canada Central region (note, this is still in Preview state), until Microsoft officially allows all Monitoring/ASR services (along with others) to be generally available. This will allow you to create new Azure Backup services and bound them to Canada Central. For more information on this announcement and code details, please visit Microsoft’s announcement. Also, worth noting, this will only allow you to use Canada Central region for new setup/configurations. It will not change current setups to Canada Central. If you’re like me, you have probably banged your head against the wall a few times with the Login-AzureRmAccount cmdlet… I reached out to the Azure Development team and not only is this a known issue, but there is currently no solution at the time…. Hmm. Here is a bit of the background story, followed with the problem and solution to the issue. Using PowerShell to script an auto-login to Azure, and start (and shutdown) Virtual Machines (yes, OMS Automation could help/solve this, but in this scenario my customer is currently not on-board with OMS). At any rate, the script is designed to capture some data on a on-premises server, if the threshold breaks, then begin starting resources in Azure, likewise, if the threshold falls back then shutdown those same resources in Azure. Running the following code, I keep getting the a null entry for SubscriptionId and SubscriptionName. Even though the user I have created is a co-administrator and has access to all the resources necessary. 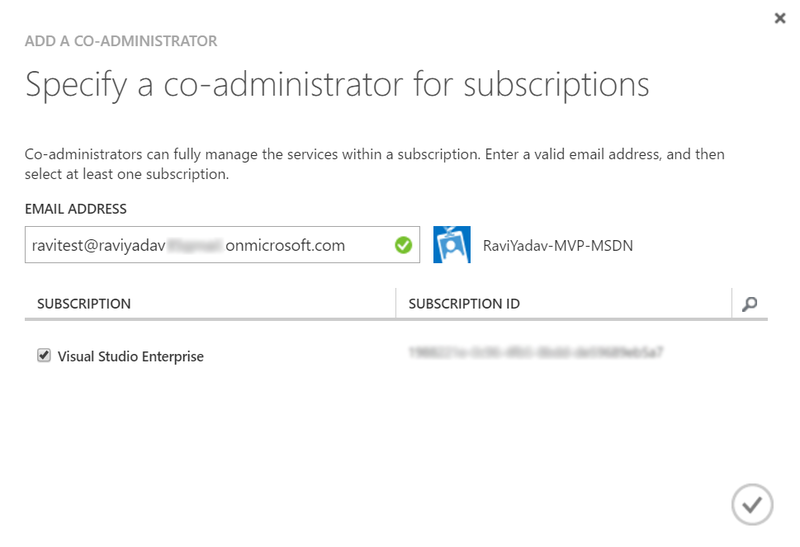 Assuming the login did work and the data isn’t needed…when try to start my Azure VM I get an Azure subscription error. So, let me check the subscription details. Well, there we go, I get the following response, “WARNING: Unable to acquire token for tenant ‘Common’” ….. So what gives? Turns out, the user account created, not only needs to be created and added to the resources with Azure Resource Manager (ARM), but also needs to be assigned as an Administrator within Azure Classic Portal. Now I can go ahead with my script!